Today, I’d like to wish a very “Happy Birthday” to a dear friend and one of my personal heroes: Jane Goodall. Given Jane’s energy and youthful attitude, it’s hard to believe that this scientist who was so instrumental in advancing our understanding of primate behavior is turning 80 today. But, indeed, more than a half-century has passed since Jane first traveled to Africa to begin her field research in Gombe National Park on the shores of Africa’s Lake Tanganyika. Her goal? To observe wild chimpanzees in their natural environment and analyze their behavior like no researcher had done before. At first, the chimps were shy and ran away whenever Jane approached. But, as they grew used to the young biologist’s presence, they continued on with their daily activities as she carefully watched and meticulously recorded their actions, often equipped with nothing more than a pair of binoculars, a pencil, and a notebook. Her landmark work revealed that chimp behavior resembled human behavior in ways that no one had even imagined—findings that transformed our understanding of our closest relatives in the animal kingdom. Through Jane’s keen power of observation, we learned that chimps had complex social lives, emotional relationships, and behaviors that included hugging, kissing, grooming, playing, and even learning by observing and imitating the behavior of others. Like humans, chimps could be compassionate, altruistic, cooperative, but, at other times, violent and cruel . Jane was the first to discover that chimps used tools—for example, inserting grass stems, or small twigs from which they carefully stripped the leaves, into earthen termite mounds to “fish” out the tasty insects. Until that point, it was thought that only humans used and made tools—“Man the Toolmaker” was even a popular definition of our species. When Jane reported this discovery to renowned anthropologist and paleontologist Louis Leakey, he said, “Now we must redefine tool, redefine Man, or accept chimpanzees as humans” . Those words rang even more true when NIH-supported researchers sequenced the genome of the chimpanzee (Pan troglodytes) in 2005 [3,4], uncovering the detailed molecular basis for Jane’s behavioral findings. It turns out that humans and chimps share more than 95% of their DNA, including most of their genes. Not only did those genetic similarities open an exceptional window into human biology, they raised questions about how we as humans regard and treat chimpanzees, given the close ties between our two species. One of the most important questions centered on whether chimps should continue to be used in biomedical research. In 2011, an Institute of Medicine committee, convened at the request of NIH, concluded that most current uses of chimpanzees for biomedical research are unnecessary because new methods and technologies could be used instead . The conclusions were compelling. I quickly accepted the IOM committee’s recommendations, and NIH is now taking steps to retire about 300 research chimps that it owns—the vast majority—to the Federal Sanctuary System to join the approximately 220 NIH chimpanzees already in retirement [6,7]. Throughout this complex process, Jane Goodall has been a wise advisor to me and my staff. Undoubtedly, human health has benefitted greatly from chimps’ past service to biomedical research. But, based on the solid base of research and expert guidance provided by Jane and a great many others, I’m confident that dramatically reducing chimps’ use in biomedical research is the scientifically sound and right thing to do. So, thank you, Jane! I hope you enjoy not only this day, but many more to come. Your pioneering science and your unswerving commitment to the well-being of the species you studied have made the world a better place for both chimpanzees and humans. 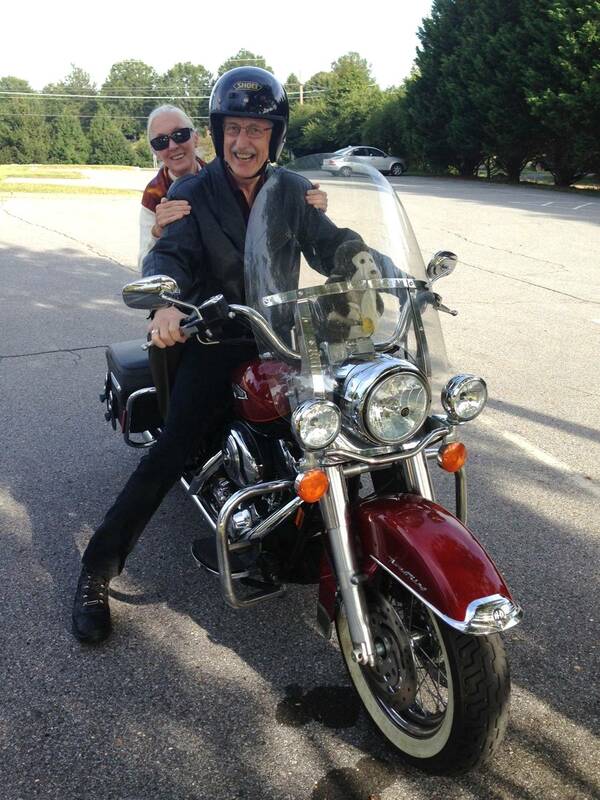 Caption: Jane and me hanging out on my Harley with a toy chimp—but we’re not going anywhere until they put on helmets! The chimpanzees of Gombe. Patterns of behavior. Goodall J. The Belknap Press of Harvard University Press. 1986. Through a Window: My Thirty Years with the Chimpanzees of Gombe. Mariner Books; 50th Anniversary of Gombe edition. Goodall J. 2010. Initial sequence of the chimpanzee genome and comparison with the human genome. Chimpanzee Sequencing and Analysis Consortium. Nature. 2005 Sep 1;437(7055):69-87. News and views: the chimpanzee and us.Li WH, Saunders MA. Nature. 2005 Sep 1;437(7055):50-1. IOM Report Recommends Stringent Limits On Use Of Chimpanzees in Biomedical and Behavioral Research. Institute of Medicine. 15 Dec 2011. NIH to reduce significantly the use of chimpanzees in research. NIH. 26 Jun 2013. Statement on President’s Signing of Bill that Enables NIH to Retire Research Chimps. NIH. 27 Nov 2013. 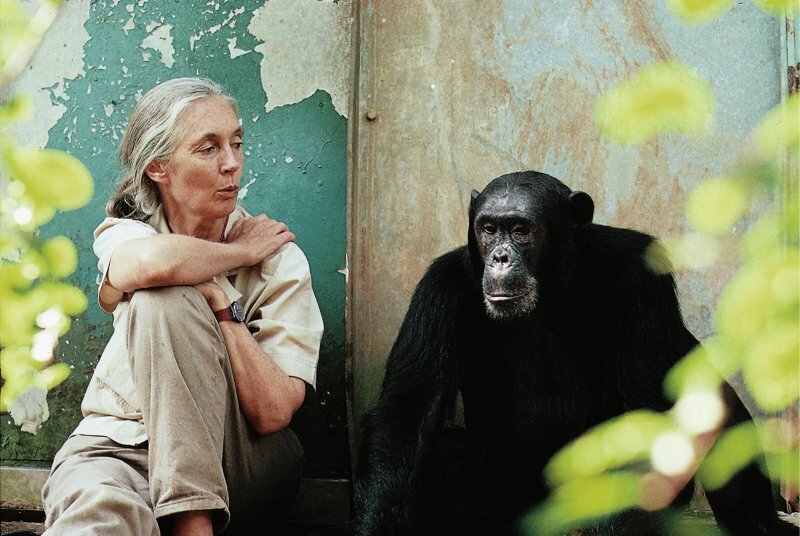 Primate Scientist Goodall Reflects on Her Career, Activism. NIH Record. 13 May 2011. Thank you Jane and Happy Birthday. Thank you Dr Collins for sharing this day with everyone. Thank You so much for sharing this information and the most important Thank You for the kindness & compassion of Jane Goodall. May she have many many more birthdays to share her wonderful ways with the world.